the greatest gift you can ever give yourself is the conviction to transform your state from fear-fueled, to love-fueled. every time. The the billboard would go up, the show would go live, the check would go into my bank account.. and I'd still feel unworthy, wondering what the hell I was missing. I'll make this short- that process wasn't working out for me. I HAD TO STOP FOCUSING ON WHAT I WASN'T AND DEFINITIVELY DECIDE WHO I WAS. Through simple holistic nutrition principles, I was able to identify my personal brilliance, lean into those gifts & better serve my people. You have a unique mission and message. Do you want to chase your desires or your distractions? Sure, you can keep floundering and half-assing your way through life... but the tugs and the nudges for your soul's calling aren't going away. OR, you could buck up, open your eyes to your individual brilliance and make a real go for it. I CAN HELP YOU GET WHERE YOU WANT TO BE. On paper I'm a certified holistic nutritionist, certified life coach and certified hypnotherapist. In action I am a transformational coach. Utilizing my expertise in professional dance and performance, holistic nutrition, transformational psychology and intuitive healing, I guide women to core confidence- body & spirit. Joy is my spirituality. No need to juice cleanse, meditate for hours a day, or wear a feather earring on my watch. We'll be digging deep but I promise lots of laughs along the way. Your greatest assignments will be to open yourself to receive loads more joy, intimacy, money, purpose and pleasure. I got you. Tory Dube is a retired dancer turned Holistic Nutrition Specialist, Certified Life Coach and Certified Hypnotherapist through Southwest Institute of Healing Arts. 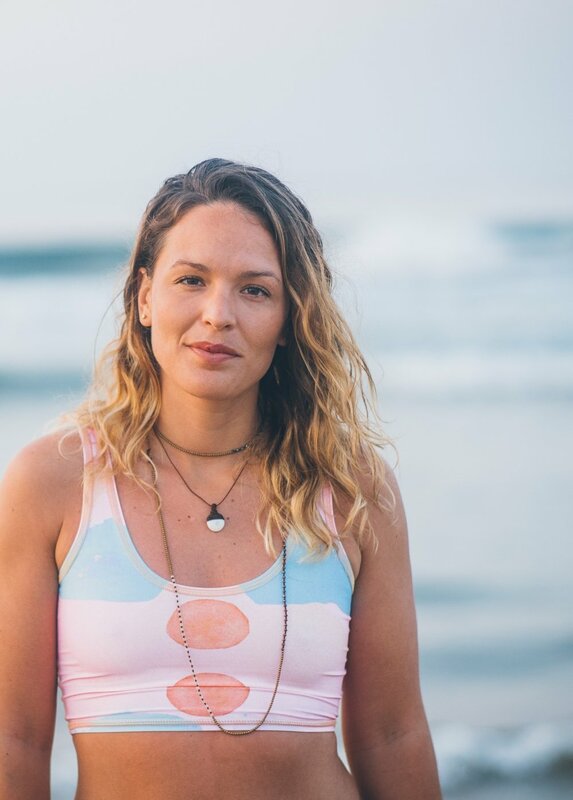 Tory is the host of the An Excellent Example of Being Human podcast, is a children's book author, hosts international wellness retreats, and works with clients around the world. Her approach guides woman away from relying on pure logic and, instead, towards their inherently brilliant internal compass. 1) There are two Torys in this world named after me. 2) I received an academic scholarship to University of New Hampshire's business school-- then promptly dropped out at the age of 19 and moved to NYC to be a professional dancer. I stayed for 9.5 long years! 3) I am 'the girl' in this Keith Urban video (hahahaha). 4) I ran the NYC Marathon once. 5) I'm crazy passionate about my fitness friends, November Project. 6) My sister and I are commonly confused for twins. I'm 2-years older. 7) I met my soulmate in NYC at my 'moving away' party. We didn't care. We now live in San Diego together. 8) I was born wanting to me a Mother. My greatest aspiration always has been and continues to be... to be a Mom (and hoping for twins first round ;-). 9) I kiss my plants every morning. Let's get to know one another in real time.